AleSmith recently expanded the tasting room at their North County-based brewery. Not only is the bar itself now longer, so are the bar’s hours, which have been extended to 2:00 – 8:00 pm on Fridays, 12:00 – 7:00 pm on Saturdays and 12:00 – 6:00 pm on Sundays. Head up their to try their My Bloody Valentine special release, available only on tap at selected bars for a limited time. After opening up their new location in Mira Mesa in 2011, Green Flash has expanded again with the addition of a second cellar. Plus, you can now take a behind-the-scenes look at the brewery, thanks to new brewery tour opportunities. Head over on a Saturday or Sunday, when $5 will get you a tour and guided tasting. Hops lovers, be sure to try their Palate Wrecker Double IPA while you’re there. With 23 years of history in San Diego, Karl Strauss is a local legend, and a new tourable space at their main brewing facility in Pacific Beach will finally give visitors a chance to see the brewing action up close. The expansion, expected to be completed this May, will also include an outdoor pizza oven, lounge spaces, a tasting room and bar, beer-to-go, and even some new event and meeting space. 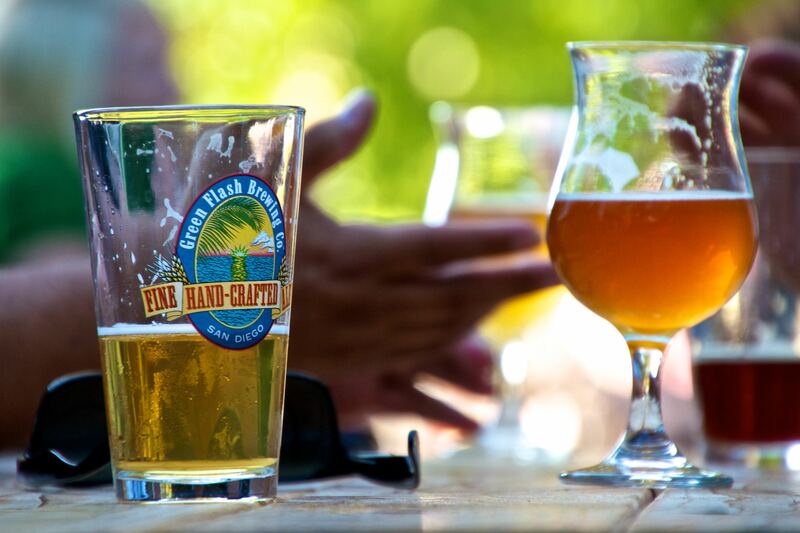 Tell us in the comments below, what is your favorite spring time beer? This entry was posted in Culinary, Insider Tips and tagged beer, breweries, craft beer, north county, pacific beach, San Diego, tours by Candice. Bookmark the permalink.